It's time for my first review, folks! 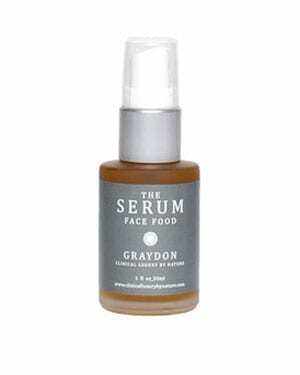 On the docket today is The Serum by GRAYDON Clinical Luxury by Nature. This product is a face oil composed of cold pressed blueberry, cranberry, raspberry, and strawberry seed oils; according to GRAYDON's site, it takes 100 pounds of fresh berries to make one 30ml bottle of this stuff! Can you say precious? The first thing I noticed about this oil is the remarkably viscous texture; I use a lot of face oils, and even the ones that have avocado oil bases or are enriched with shea butter or coconut oil (both solid at room temperature) can't compare in thickness. As such, this is definitely not an oil for those afraid to look a bit "glowy". Because of The Serum's incredible viscosity, I've had great success using it to treat the eczema that crops up on my eyelids, directly under my nose, and in my eyebrows (does anyone else get this? It makes me feel like a mutant flake monster) when I'm over-stressed and under-rested. The fact that The Serum is a blend of cold pressed oils makes it even more perfect for this purpose as, I've found, essential oils can sometimes cause irritation when the skin's health has already been compromised. Holy-grail level eczema clearing properties aside, this oil is supercharged with antioxidants (I'll say it again, 100 pounds of fresh berries), and is an absolute delight to apply. It's a gorgeous dark yellow-green and instantly makes my skin feel more supple, protected, and nourished. There's also been a lot of talk recently about raspberry seed oil possibly containing UV filters (some folks are saying it has an SPF between 28-50); while I'm not convinced about this just yet (sunblock is something I will never EVER go without during a prairie summer) it's definitely something to consider. The only gripes I have with this product are complaints about packaging. First of all, the small plastic cap that covers the nozzle of the bottle cracked the first time I took it off (this isn't an isolated problem either; I had the same issue with the cap on a GRAYDON toner) making travel with this product very difficult. Secondly, the ink(?) with which the label is printed rubs off like the wax used on scratch off lottery cards. I'm serious. 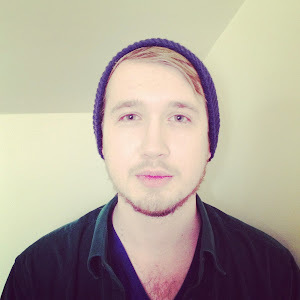 It's weird. All in all, this in an excellent oil, with some unfortunate packaging problems. INCI (as printed on label): cold pressed blueberry seed oil (vaccinum myrtillus), cold pressed cranberry seed oil (vaccinium macrocarpon), cold pressed red raspberry seed oil (rubus idaeus), cold pressed strawberry seed oil (fragaria vesca), grapefruit seed extract (citrus grandis) and nothing else!